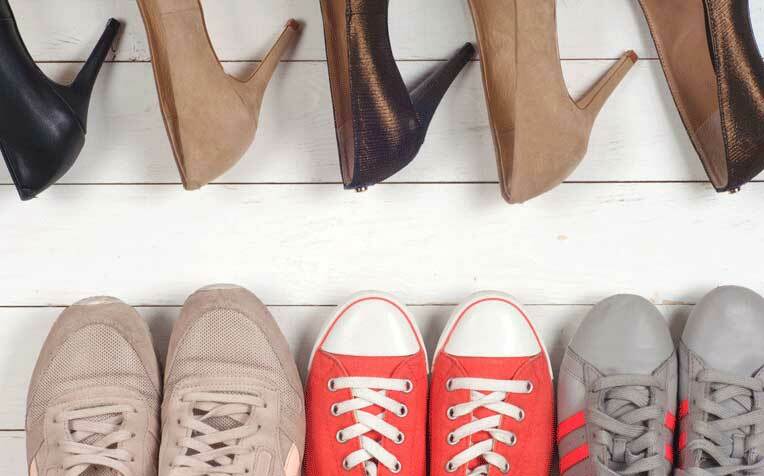 ​Footwear advice and 5 characteristics of good shoes ​by Gerard Evans - Podiatrist with the Podiatry Department at Sengkang Health. It is estimated that in an average lifetime, we use our feet to walk the equivalent of five times the circumference of the earth. Yet we rarely give our feet -- and our footwear -- much attention beyond aesthetics. Shoes may be in fact the most important part of an individual’s attire, as no other article of clothing must fit so precisely and perform critical mechanical functions such as transferring body weight. Aside from immediate foot discomfort, inadequate or incorrect footwear may lead to problems with the lower legs, knees, hips and lower back. In addition, falls - which can have dire consequences in the elderly - are most frequent among those with poorly fitting footwear. There are many characteristics to a good shoe. Typically, price isn’t a factor as a good shoe may be cheaper than an inappropriate shoe, and famous brands are not a guarantee of a quality shoe. You should check if the shoe has the following features. There should be an adjustable strap such as laces or Velcro which allows for adjustment depending on an individual’s needs. The shoes' heel support / heel cup should be soft and stable, preventing vertical or horizontal heel movement. There should be sufficient room (both width and depth) at the front of the shoe for your toes. During normal walking your foot both spreads out and lengthens up to one centimeter in each direction. Therefore, you should pick a shoe that is longer than your longest toe by about the width of your thumb. The shoe's heel must not exceed 2.5cm in height. Otherwise, the heel and ankle become more unstable and thus prone to sprains and forefoot pain. Monitor your footwear and discard shoes that are too worn-down, as these have often lost some of their basic functions. Continuing to run in worn-out running shoes increases the stress and impact on your legs and joints, which can lead to overuse injuries. It is suggested that a pair of running shoes should be changed every 500 to 650 kilometers (300-400 miles).